The teaser will surely have NashLene fans wanting for more. 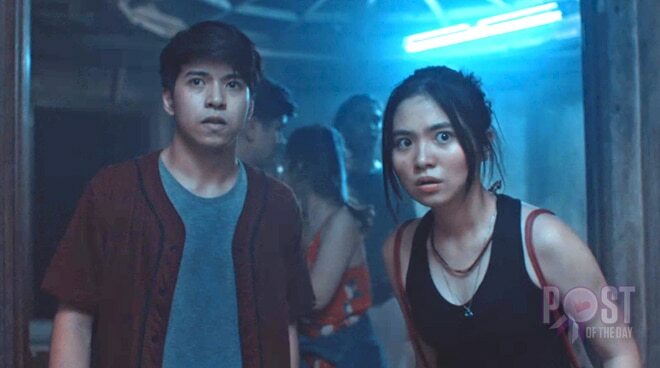 Teased as "a first in Philippine cinema" by the lead stars of the film during a press conference held earlier this year, the Nash Aguas and Sharlene San Pedro-starrer horror-thriller film Class of 2018 finally released its first official teaser. While the teaser gave a glimpse of what fans can expect from the movie, the exciting scenes also left fans hanging, baffled about where the story will take them once it hits the big screen. Class of 2018 follows the story of a group of students who were sent to a quarantined military facility after one of their classmates got infected with a yet to be identified virus. But the question is, who will survive? Apart from Nash Aguas and Sharlene San Pedro, Goin' Bulilit alums Kristel Fulgar, CJ Navato, and Kiray Celis are also part of the T-Rex Entertainment-produced film which comes out on November 5.